The President of the United States can't create or really even save jobs. At best a president can get out of the way of innovative, hard-working people to allow them to create and save jobs. I get my news online and I noticed that when the President made an appearance on The View, he was asked only one challenging question, and that was from the only conservative on the program and it was about the whole White House language of "jobs saved." There is no measurable means of determining how many jobs were saved. If you have 8% unemployment and that goes up to 10%, it doesn't sound like you saved any jobs. What they're saying is that "it could have been worse." We don't know that. However, let's say that more people could have lost their jobs than who did. Saving a job is not the same thing as creating a job and it isn't even necessarily really saving a job. Money wasn't even redistributed. It was just printed. It was wealth that we didn't even produce. But the money was sent to states to keep government workers employed. Once that money runs out, where is that money going to come from? Actual jobs must be created for enough revenue to be raised to pay for those government positions. So yes, more debt was produced and people got to keep their jobs for a little longer. But jobs paid for with borrowed money aren't going to last without borrowing more money. They've been "saved," but somebody is going to have to pay now for the debt created to prolong someone's employment. We didn't really save a job as much as we put off the inevitable. Paying someone's salary with borrowed money is nothing more than another economic bubble. 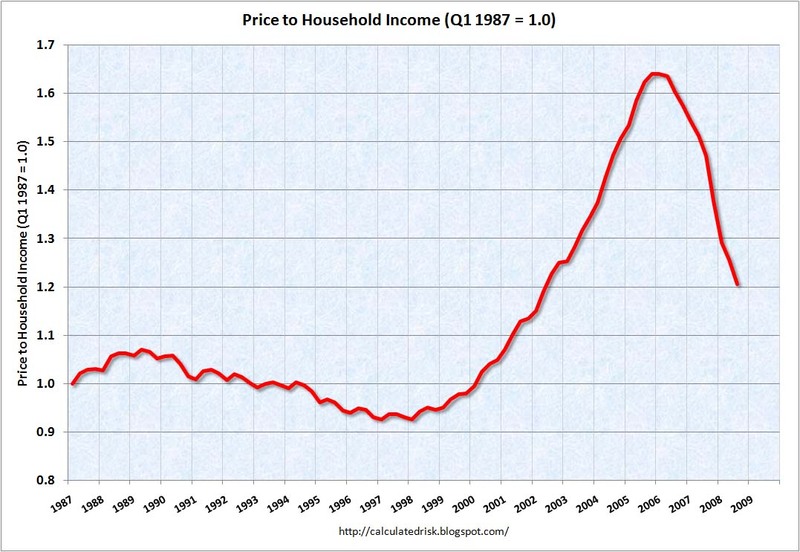 By the way, the same economic bubble still exists in the housing market. For over a year, people bought houses to take advantage of $8,000 tax credits also paid for with borrowed money. It produced an artificially maintained housing market as people sought to get their tax credit. The banks also have not released all of their foreclosures for fear of what the glut of houses on the market would do to home prices. The banks would lose a tremendous amount of equity on their repossessed homes. They have artificially kept the prices of homes up by both holding on to the properties and by attempting to deal with delinquent mortgage payments. The bubble created by both the factor of the tax credits and the manipulation of the banks is bound to pop. One could say that the combination of these two aspects has "saved jobs," i. e. again just put off the inevitable. So there we have our "jobs saved." I would contend that a job hasn't been saved if a job wasn't created. You and your neighbor could hire each other to dig a ditch in each others' yard. You dig his and he pays you. He digs yours and you pay back to him the money he paid you. See how two new jobs were created. Of course, not really. That is akin to what's happening with "jobs saved" in this country and according to this White House. When you read "it is written" in the New Testament, what tense of verb does that sound like to you? Does it sound past? No. Does it sound present? Yes. But is it present? No. It's actually a perfect tense verb. It's also passive. If it were translated how a Greek student is taught in first year Greek class, it would be "it has been written." Why? Well, the action of the perfect tense is past, and actually completed in the past. The perfect tense speaks of completed action. So why does the action sound like it isn't completed in the translation "it is written"? It sounds like the translator is attempting to make the action sound present and continuous, not past and finished. Well, there is one more aspect to the perfect tense, that is, the action is complete, yes, but the results of that action continue into the present from the perspective of the speaker and, therefore, his original audience. Those hearing the speaker use the perfect tense would know that the results had continued from that past action up until their day. So why do the translators translate "it is written" with a sense of the present? They wanted the readers to understand that the results of what had been written were still around in the present. Those letters and words weren't written in the present, but they sound like it by the way the verb is translated. All that is still around, however, are the results of the writing, that is, the letters and the words. The writing isn't continuing. The results of the writing are. Hath spoken, i. e. that Moses received a revelation which still remains. This is a frequent meaning of the perfect tense— to express the permanent result of a past action. Thus the frequent formula gegraptai is strictly 'it has been written,'or 'it stands written:' i.e. it once was written, and the writing still remains. It is written, gegraptai; the perfect tense, speaking of an act completed in past time having present results, is used here to emphasize the fact that the Old Testament records were not only carefully preserved and handed down from generation to generation to the first century, but that they are a permanent record of what God said. In Matthew 4:4, our Lord answers Satan, "It is written." The perfect tense is used. He quoted from Deuteronomy. The words had been written by Moses 1500 years before, but are still on record. . . . A good translation reads, "It stands written." It is the eternal word of God. Many others agree with this point on gegraptai (hereand very strongly here). All of these following men see "it stands written" as a good translation: Broadus, Weymouth NT, Henry Morris, John A. Witmer in The Bible Knowledge Commentary, and MacArthur (see 1 Cor 1:19) among others. Verse 17 refers to Scripture, Genesis 17:5. In that verse, the perfect passive, gegraptai is used. Then look at v. 23. Now it was not written for his sake alone, that it was imputed to him. We have here one of those instances of the niceties of Greek syntax, which cannot easily be fully exhibited in a translation. The formula "as it is written" occurs very often in the New Testament, in introducing passages from the Old. In such cases the verb is in the perfect tense, while here it is in what is called the aorist. The perfect always has a reference to the present time, describing the action as past indeed, but also as abiding in its permanent consequences; while the aorist simply describes the action as finished in some past time. The difference may be sufficiently represented in English by the expressions: "It stands written," and "it was written." Hence the propriety of the use of the perfect in the ordinary cases of quotation from the Old Testament, where the Scripture quoted is conceived of as a permanent record. This common introductory formula to OT quotations seems to be used to emphasize that the written word still exists. It is written, more exactly, has been written, the perfect tense suggesting the additional idea of its having been not only uttered long ago, but ever since on record and awaiting its fulfilment. It reads too much into Jesus’ choice of tense. I sincerely doubt any of Jesus’ hearers thought that His use of the perfect meant that the quotation would continue to exist in its quoted form ad infinitum. In fact, I sincerely doubt that Christ’s hearers thought about his use of the perfect at all. You could call that the "historic mind reading" argument. He just knows that Jesus hearers wouldn't have thought anything about a choice of tense. And he's sincere. He needs not produce anything but sincerity and you've got to just believe that. This is an excellent example of the type of grammatical error that Carson points out in his Exegetial Fallacies book (which I am currently reading for class right now). How can you argue for a position with a known bogus argument and expect it to convince people? At best that’s dishonest. There haven't been people, again, until just recently that didn't see preservation in gegraptai. No one argued against that. Did they see more than preservation? Have they seen authority, for instance? Sure. Did they understand "it is written" to be a "introduction formula"? Yes. But it is written in the Greek in the perfect tense. It's certainly not a "known bogus argument." The argument against it is what appears to be bogus to me. I'm not ready to call people liars, like the other side so easily is wont to do, however. I think labeling it dishonest shows the desperation on the other side. If the results of the perfect extend only to the present, there is still a strong argument for preservation here. The New Testament authors were guaranteeing that the results of the original writing of their referred texts were still in existence 400 to 3000 years after their completion. The writers accepted Scriptural preservation from the past to the present time of the writing. It is reasonable to assume that if preservation was active from the past into the present that there was also ample reason to suppose that it would continue into the future. This perfect passive argument is not a centerpiece of a defense of perfect preservation. One person characterized it that way in a recent discussion. I think that he knows that perfect passive of grapho does not buttress the perfect preservation position. However, it supplements it. It's worth mentioning and bringing to attention. It is another argument. In many ways, it is an argument that would not itself be very strong if it weren't for statements already made about perfect preservation in Scripture. However, the 67 New Testament usages of gegraptai testify to God' s perfect preservation of His Words. Verse 32 is one of the most pivotal, defining statements that Jesus ever made. He said it in response to criticism His disciples received from the scribes and Pharisees for eating and drinking with publicans and sinners. The circumstance that led to this attack was a great feast that Levi (Matthew), a new believer, had made in honor of his new-found Savior, Jesus. Matthew's only acquaintances at that point, fellow publicans or tax collectors, came to the great feast for Jesus too. Tax collectors were hated by everyone at that time. No other rabbi except for Jesus would have offered them his presence. They were excluded from society, even as seen in the reaction of the scribes and Pharisees in this event. They were in need of forgiveness and perhaps also saw their need for it, unlike the religious leaders who criticized them. Can we conclude that the great feast of Matthew was actually an evangelistic technique or strategy? Can we conclude from this example that a legitimate scriptural practice would be for believers to determine the physical attractions of an unsaved society and attempt to draw people from the world to a gathering by luring them by one or more of those attractions? The verses say nothing about the great feast being a strategy. The verses say nothing about a great feast being a means of attracting a crowd. 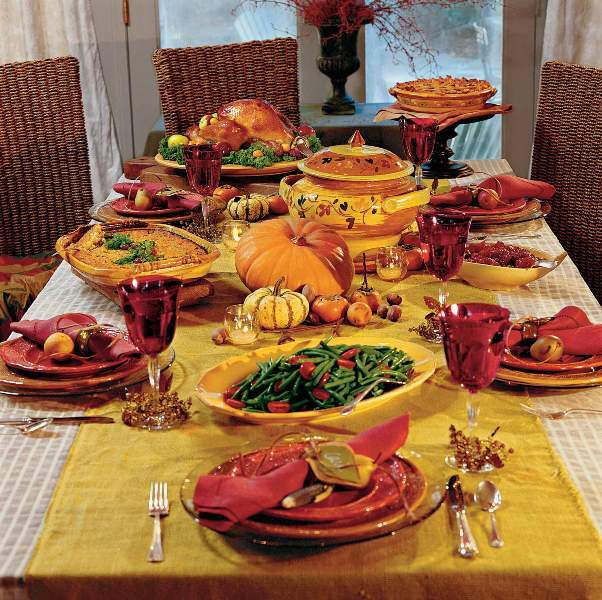 The great feast is almost incidental to the story. We don't know that Matthew's fellow tax collectors wouldn't have come if he hadn't been throwing a banquet on behalf of Jesus. I think we can assume that his fellow tax collectors were invited. We know the feast was made for Jesus. That's what v. 29 says. It wasn't made for the publicans. We know from v. 32 that Jesus called sinners to repentance. Matthew made a banquet in His honor and He used the occasion to preach to sinners. Jesus used every occasion to preach to sinners. He was always preaching to sinners. Because He preached to sinners in every occasion, doesn't mean that each of those events were concocted for evangelistic opportunities. The banquet wasn't a device for evangelism. It was a way to honor Jesus. Matthew had no one else to invite to his banquet meant to honor Jesus. No one else was interested in being a friend of a tax collector except for other tax collectors, Jesus' disciples, and Jesus. Other tax collectors were the only ones that Matthew could call upon to join him in honoring Jesus. Jesus and His disciples were rare non-tax-collectors who would meet and eat with other tax collectors. Tax collectors knew they were sinners. They couldn't find a solution for sin through Judaism. They weren't welcome. They could, however, find relief from Jesus. Matthew now knew that very well. That spiritual relief, the forgiveness for sin and guilt, would interest them. It had interested Matthew enough. Why make the banquet, the feast, the thing of interest here for these tax collectors? I think this is so much like our modernistic society or culture, that is, to see the great feast as the draw instead of Jesus as the draw. We would just assume that they were there because of the free food and revelries available. The text says nothing of that. Nothing. We have no indication that this was the offer and yet now men will use this as a proof text for using even crass promotions for vulgar interests. Why not assume that they were there to meet Jesus? Jesus was a great enough figure, and a sympathetic and accepting enough Person, enough that their acquaintance, Matthew, would be willing to make Him a great feast. Food was not the attraction. It was incidental. Jesus was the attraction. Why not the following thoughts? "Let's go meet this man. He must be extraordinary. And this is a rare thing that a well-known rabbi would acquiesce to meeting with us." This passage should not be used to defend certain promotion and marketing for purposes of evangelism. Recently here at What Is Truth we had discussed this in the comment section of a short post asking questions about a particular Fun Fair promotion being used by a church. Someone was comparing these two situations. 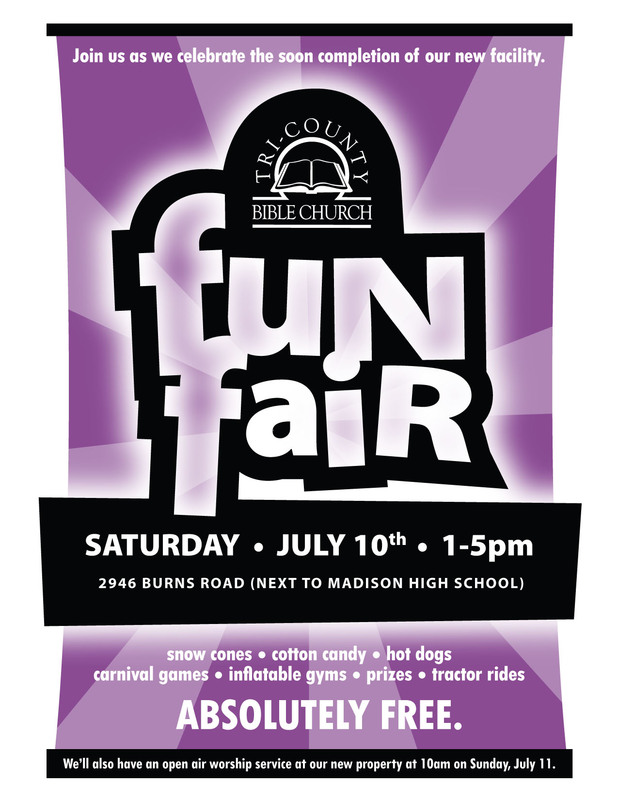 A Fun Fair flyer designed in carnival-like color and style, emboldened with the capital ABSOLUTELY FREE, and offering sno-cones, carnival games, hot dogs, and tractor rides, was sent to thousands in the community to bring unbelievers to the grounds where the church meets. This Luke passage was referenced to justify that strategy, as if there was a true parallel between the Fun Fair and what Matthew did. At best, the example of Matthew with the feast is to do something great to honor Jesus. It, of course, should be something that would honor Him. Sno cones and carnival games are not in that nature. We might like those kind of things, but our thoughts should be something that He really wants. For the time being, that won't be a banquet. We can know what will honor Him by looking at His Word. There is no accident that unsaved people would want to attend a "carnival," with special attention to the "carn" in "carnival." The carnival attracts the flesh. It isn't a spiritual attraction. For Levi's gathering, Jesus was the attraction. The Fun Fair, and fun, is a physical attraction. Jesus is a spiritual attraction. Using fun and carnival entertainment as a church attraction associates the church with these. I'm not saying the world won't like that. The world will. And we know they will. That's why we do it. However, does God want to be associated with that? No. God didn't choose things impressive to the world to save the world. He chose the base things, the weak things, the foolish things. He chose preaching. He didn't choose preaching plus a carnival. The carnival makes sense to the world. With the carnival, perhaps the flesh can now glory in God's presence. God doesn't want the flesh to glory. If any man glory, let him glory in the Lord. Methodology matters. The carnival takes glory from the Lord. People will mistake success in evangelism for the carnival. We see many modern examples of this. Men are looking for the latest new idea that will bring success in church growth. How we do it matters, however, because it affects the glory of God. It does. In the end, the world won't know why men were attracted to Jesus or His cross. To them it's foolishness. This is how God gets glory---the incomprehensibility of the simplicity of the method. You have to stand back and say, God must have done this. It really must have been God. Men don't like preaching, so how did preaching attract them? Because God was at work. It was a miracle. And God gets the credit for that. With the Fun Fair, we get the credit. I was reading some of the comments under the Fun Fair. Here was one: "What a wonderful turnout, Chris! God’s hand is moving in this. I think it is *no doubt* the sincerity of you and your church folks that has drawn people to this event." I wouldn't think that. I would think it was because of the flyer and the offer of free games and rides and food. That's what was used to get them to come and that's why they came. That isn't God's hand moving. You see that even spiritual discernment is affected by using these methodologies. People say that it was God Who was moving when it was actually the promotion that moved. Someone may counter, "I think it was the people, their testimony." I answer, maybe, but we don't really know now, do we? Do you see what happens? The one commenter and the pastor involved talked about the sincerity and graciousness of the church people. It takes zero faith to hand out a flyer offering free food, rides, and games. That is not the work of the Lord. And yet people in fundamentalist and evangelical churches today think it is. The pastors have told them it is. They have done God's work, they think, when they have bribed people to come to the church grounds. The pastor of this church commented that they were able to gain a "positive reputation" in their community. The end justifies the means. The community is thinking positive about the church because the church has given them the kind of church the community would like them to be. That's not really positive. It's a fake positive. Another point made was that the gospel was preached on the other side of the flyer. I'm not unhappy about a gospel presentation on the back. Anybody who would say that is just attempting to distract from the issue. That's not the point, is it? The point is that the gospel is stuck on a sheet of paper that looks like a carnival and is offering a carnival. I don't think evangelicals and fundamentalists even notice this any more. And the gospel that was presented, I noticed, didn't mention "Hell." I realize that Jesus didn't always use the word "Hell," but there was plenty of room for it on the flyer. Most of the gospel doesn't fit with that medium of presentation. I would contend that absolutely changes the nature of the message. The gospel has nothing to do with "fun." Jesus said that if you come to Me, you deny your self. Self-denial really does get lost in a carnival-like presentation. How we do it, again, does matter. The whole thing brought back to memory a situation in which our church was out going door to door evangelizing and an area Hyles' church came to the same door at the same time. The Hyles representative was dressed up like a clown. A clown. The clown was going around representing the church and the gospel. Would you say there was no problem as long as the clown was preaching the gospel? Just asking. I don't think so, but I see these two things as the same. I think it is even worse when a passage is taken hostage for a purpose it wasn't intended. This passage gives us a great truth from the lips of Jesus. He came to call sinners unto repentance. Let's not get our eyes off of that truth. That's the message here. So let's everywhere call sinners to repentance. Are we to think this is "gospel centered" and "God focused?" Is this bait and switch here? Is this just something done for the community, a gift to the community? Is this a legitimate form of "evangelistic outreach?" People in the world aren't going to be attracted by God and the Bible. They "need" something carnal to get their attention. Do we have anything in scripture that teaches this kind of method? Does anything in the Bible say it's wrong? Does 1 Corinthians 1-2 apply here? Recently Pastor Tim Jordan among others was invited as a main speaker for the national conference of the General Association of Regular Baptists (GARBC). This was considered to be a big deal to the GARBC because Jordan isn't GARBC. He's the pastor of Calvary Baptist Church of Lansdale, PA, where is Calvary Baptist Theological Seminary, a well-known independent Baptist graduate school, and a National Leadership Conference, which is attended by leaders especially of a particular variety of independent Baptist churches and organizations. However, John Greening, national representative of the GARBC, said at the meeting: "There are other independent Baptists who share our convictions. I want to make new friends with them. . . . The GARBC is not a closed club. The speakers we have had at our conference last year, this year, and will have next year, are indicative of that." Before a Wednesday sermon at the conference, Jordan said: "“So, why is it that we weren’t fellowshipping sooner? . . . . So what was the difference?” Let me guess here, or at least offer my opinion. I can't speak for Calvary at Lansdale, but I've observed that institution enough to have a bit of a grasp for why there wasn't a tie with GARBC before. E. Robert Jordan, the founding pastor of Calvary, Tim Jordan's dad, wouldn't have had anything to do with the GARBC? I think that's a pretty educated guess. For a long time, he didn't fellowship with Bob Jones University, not until after the seminary there had been started for a little while. I'm not surprised with Tim Jordan's appearance at the GARBC. It looks like a fit to me. I can't see what would keep one away from the other. And E. Robert died in November 2009. There we go. That's as bad a thing that anyone could possibly say. To call these men liars in public. It amazes me that the audience would even go for it, but the fact that they would and then publish that he said it, and revel in it, says something about where this group of men stands. Let's get it straight though. He' saying that the independent Baptist separatists were and are lying when they gave and give biblical reasons for their cultural issues. That's what Tim Jordan says. The "emperor's clothes" reference is essentially saying that these men are pretending to have biblical reasons, when either really know that they don't have any reasons or they're just crazy. In the end, the emperor, after having found out from a little boy that he wasn't wearing any clothes, proudly acted as though he was wearing them anyway. I think you get the picture. These leaders with the convictions on these cultural issues know they don't have any biblical reasons, but they go on like they do and everyone else is to go along with it, when it's obvious they don't have any. You've got to be a dupe or lemming to go along with it. I've been around enough of the Lansdale crowd to know that they do believe both---that men are liars and/or crazy---take your pick. And yet men go right along in fellowship with Calvary in Lansdale as if nothing is wrong. This doesn't sound quite even like agreeing to disagree, does it? The implication here is that young people are leaving these churches because their leaders are lying to them. If they stop lying to them, that is, stop telling them the Bible has something to say about these cultural issues, then they won't leave. I can tell you first hand, that young people won't leave because you take stands on cultural issues and give biblical reasons for them. They sometimes will leave because they love the world and want to go live it up, in essence to eat, drink, and be merry. In other words, they choose the pleasures of sin for a season than to suffer derision with the people of God. The world is having its impact on churches like Calvary and Lansdale and the numbers are dwindling. Like many other churches, to combat that, you start dropping those standards on the cultural issues. You do keep the young people, but it doesn't have anything to do with "not lying to them." The stronger the influence of the world and the tougher it is in this world to live the Christian life, the more we're going to see a division taking place. There is a wider gap and clearer distinctions between a biblical Christian and the world than ever. It is an unbridgeable gap. Since it can't be straddled anymore, the young and immature (restless) just drop out. Or the church can change, start taking on the mores and spirit and look of the world system. Calvary in Lansdale recently dropped their old music pastor for a different brand of "worship." That's part of what goes with the territory. And now Calvary and Jordan has moved that direction enough to reach a good comfort level with the GARBC and the GARBC with Calvary. That's "what's the difference" to refer to Jordan's question. And you will always be able to find your crowd in this world, and the one that's more like the world will be bigger. And when you join it, it might feel like a breath of fresh air. Don't mistake that for the Holy Spirit, just a good feeling that you'll have plenty of companions in the broader road. I also don't think it's possible to be Fundamentalist without reference to culture. That is, the fundamentals have cultural implications. So biblical fund. will always be "cultural" in that sense. When Jordan says "cultural fundamentalism" in a negative sense, I do not believe he means "all efforts to apply Scripture to cultural choices." Let's be clear about that. There is absolutely no sphere of life that is exempted from the Lordship of Christ. So looking at some of these events and the "cultural trappings" they accept and trying to apply biblical principles to them is an obligation we all have. Just want to be clear what our choices are here: it's not like on one hand we have "cultural fundamentalism" and on the other we have "anything goes as long as its 'cultural.'" The former is the error of much of fundamentalism. The latter is the error of most of evangelicalism. By "cultural fundamentalism," Jordan (and several others I've heard use the term) is referring to the practice of taking a particular set of applications (or just opinions, for the many who never bothered to think them through) and making them them (a) equal in status to Holy Writ itself and (b) the defining essence of fundamentalism. The cure for this is not to look at the evangelical landscape and say "none of this cultural stuff matters"! About "cultural fundamentalism" as it was described by the speakers at the GARBC conference: I think they used the term in reference to the set of cultural values that grew to "mean" fundamentalism. Drs. Jordan and Davey mentioned things like dress standards, music standards, Bible translations, smoking/drinking/movie attendance/mixed swimming, and even loyalty to particular schools and institutions. I don't think we should interpret their comments as as an invitation to lawless living or an indication that they are soft on the subject of personal holiness. Rather, they seemed to refer to "cultural fundamentalism" as a set of cultural taboos that came to replace an authentic definition of historic fundamentalism. Again, to be clear, Tim Jordan, leader in independent Baptist fundamentalism says that the men were lying who used the Bible to defend convictions related to the above list. Calvary in Lansdale organized mixed swimming, swim park activities, where the girls showed full thigh in their skin tight outfits in the pool with the guys. When I was considering going to Calvary Lansdale in the mid 80s, I saw this firsthand. This proximity of the immodestly dressed was accompanied by quite a bit of frolicking in the water between sexes as well. Certain impediments or barriers seemed to break down with the setting and context. It sort of gives new definition to the emperor with no clothes. I'm not going to try to prove here and now that Jordan is wrong. He is. You can deal with cultural issues from the Bible. Everyone draws lines. So does Jordan. He's just creating some space for his laxity and license. Men who do take positions on cultural issues, the so-called "cultural fundamentalists," do defend their positions from the Bible. And they're not lying.